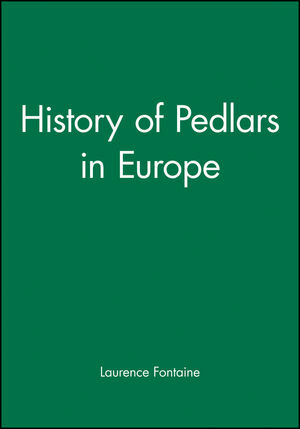 In this, the first sustained account of pedlars and peddling, Laurence Fontaine argues that pedlars and the networks they built up played a crucial role in the birth of the modern European economy. Laurence Fontaine is a researcher at the CNRS, Paris. 1. Peddling and Major Trade Between the Fifteenth and Seventeenth Centuries. 2. The Eighteenth Century: a Return to the Regional Areas. 3. The Eighteenth Century: the Networks of Booksellers and Book Pedlars in Southern Europe. 5. In the Village: Reasons for Itinerancy and the Structures Supporting It. 6. Credit and Social Relationships. 7. The Demise of the Profession. 8. The Culture of Itinerancy. The coverage is broad, covering five centuries.